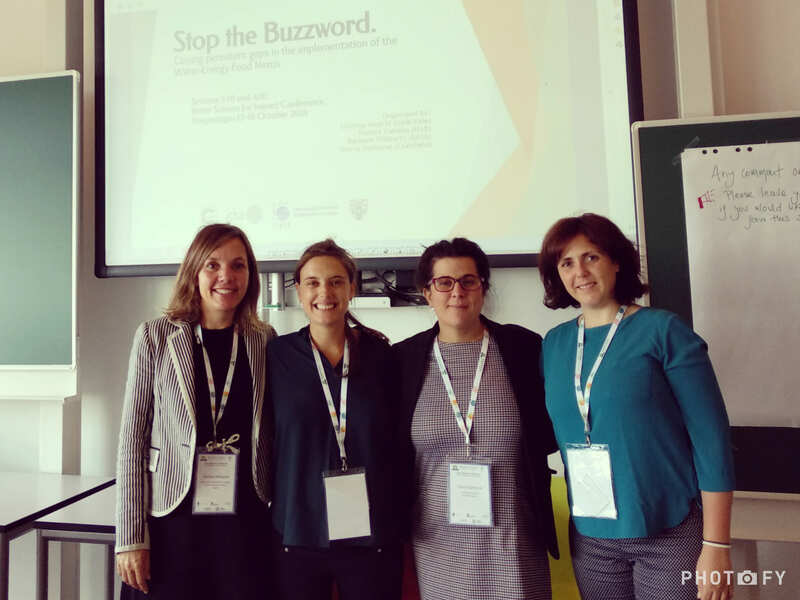 On 17 October 2018, Barbara Willaarts (IIASA), Cristina Madrid (UAB-Yale), Gloria Salmoral (Cranfield University) and Violeta Cabello (UAB) organized a double session at the Water Science for Impact Conference in Wageningen, entitled “Stop the Buzzword: closing persistent gaps in the implementation of the Water-Energy-Food Nexus”. The first part of the session introduced the projects the organizers currently work on: ISWEL, IANEX, NEXT-AG and MAGIC, respectively. All four share the use of both a nexus approach in quantitative analysis to assess the validity of sustainability-related policies and participatory research to design, support, validate and assess those quantitative models. The MAGIC presentation focused on the quantitative story-telling approach, results from the analysis of water policy narratives and the stakeholder engagement process developed within the project. Attendants were curious about MAGIC interactions with policy officers from the European Commission, notably EC officers' knowledge of and interest in the nexus concept, and the barriers to establish a collaborative relationship with them. Additional bottom-up participatory approaches were suggested as means to foster the effective implementation of nexus actions. The second part of the session consisted in a workshop in which the participants discussed in an Open Space about the main challenges of including participatory processes in quantitative nexus research and how participation can contribute to stop the use of the nexus as a buzzword. The discussions centered on three broad topics: the importance of public participation for the nexus approach, the lack of integration of nexus-related research into policy agendas and the challenges of integrating the results coming from participatory processes into quantitative modelling.